In 1980, the bottom 90 percent of taxpayers paid 50.72 percent of income taxes. In 2011 (the most recent year the data is available), the bottom 90 percent paid 31.74 percent of taxes. On the flip side, the top 1 percent paid 19.05 percent of taxes in 1980 and now pay 35.06 percent of taxes. 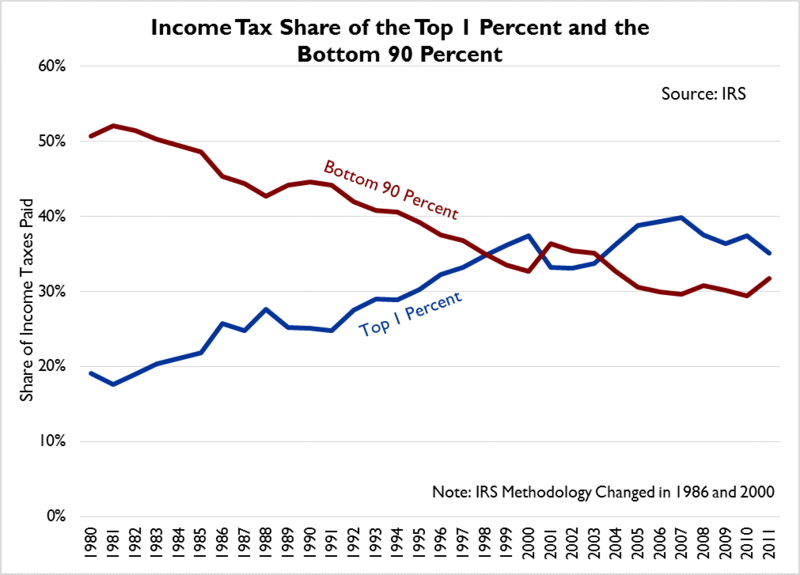 An interesting piece of information from the chart below is that after the 01/03 Bush tax cuts, often claimed to be a tax cut for the rich, the tax burden of the top 1 percent actually increased significantly. One reason for the decline in the bottom 90 percent’s tax share is likely the proliferation of tax credits. 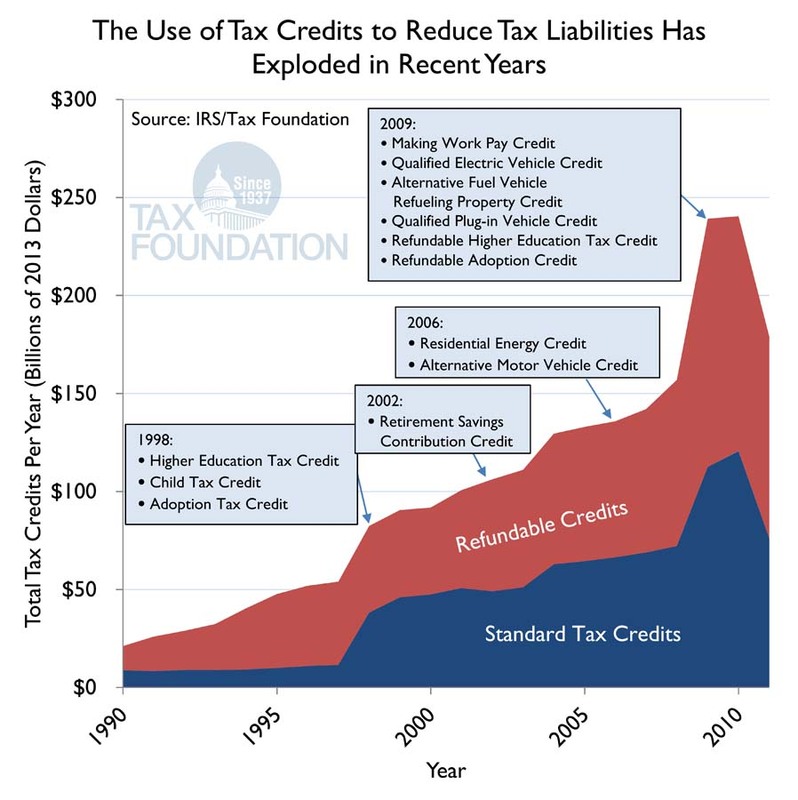 In the last 30 years, the number of tax credits has increased, specifically refundable tax credits. The combined cost of refundable and standard tax credits has gone from around $20 billion in 1990 to $176 billion in 2010, with refundable credits accounting for about $100 billion of that growth. Beyond the unfairness of saddling an increasingly smaller number of taxpayers with an increasingly larger percentage of the tax burden (the top 50 percent of income earners paid 97 percent of all taxes in 2011), there are basic government finance issues with such a tax code. Tax structures that rely on such a small base (specifically a small income tax base) are more susceptible to the ups and downs of the economy. The best solution would be to shift away from a tax code that punishes high-earners, savings, and investment and towards a tax code that collects revenue from a consumption base, which provides more stable revenue and mitigates the current code’s bias against savings, investment, and, correspondingly, economic growth.